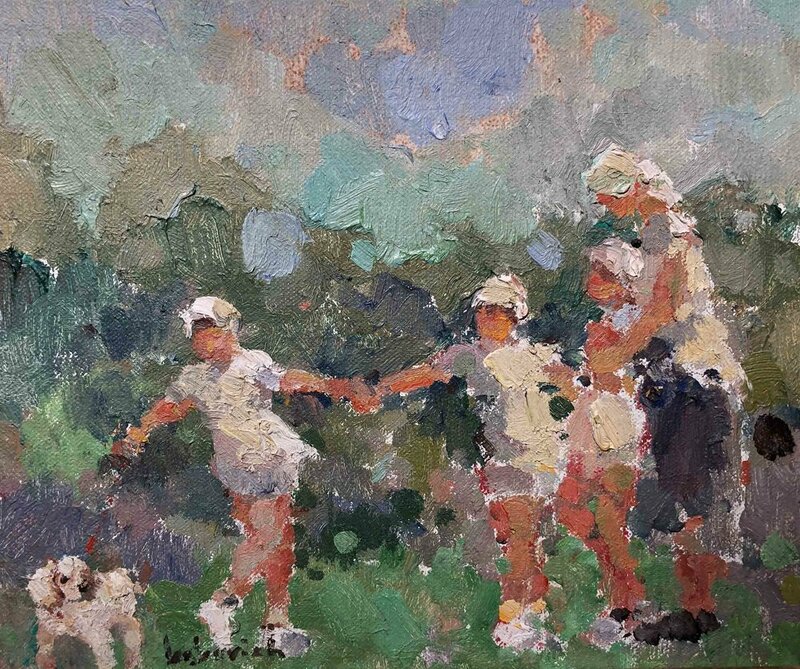 Artist Lesley Rich is represented in private and corporate collections nationally and internationally. The winner of numerous awards, she has been featured in American Artist and Southwest Art. Rich teaches national and international workshops, and is a member of Alla Prima International, Allied Artists, American Artists Professional League, California Art Club, En Couleur, Oil Painters of America and Pacific Art League. Painting is about design and surface tension and emotional impact. It is about conflicting influences. It is about balancing spontaneity with skillful integrity, complexity with clarity. It is a constant dance, balancing illusion with the reality to be created. My paintings, even my landscapes, are ultimately about people. I attempt to look beyond the surface of what is and capture not only the image but the truth and emotional impact of that image. I want every painting to find its own way, wherein I'm acting almost as a facilitator rather than an actor. When this honesty occurs, the painting is not only about what the eye sees, but, more significantly, it is about what the heart feels.